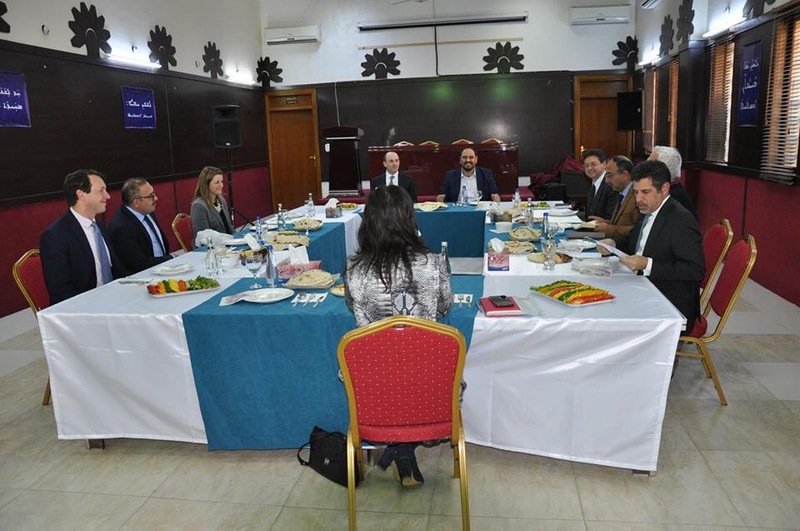 At the invitation of the US General Consulate in Erbil, the President of the Assyrian Aid Society-Iraq, Mr. Ashur Sargon Eskrya, took part in a meeting held at the Syriac Heritage Museum in Ainkawa - Erbil on Saturday, March 9, 2019, and accompanied by Ms. Stephanie Dubitsch, Special Advisor to the Office of the US Vice President for Middle East and North Africa, and Mr. Matthew Zais, Director for Iraq at US National Security Council, Mr. Max Primorac, the USAID Special Representative for Minority Assistance Programs in Iraq, accompanied by Mr. Steven Fagin the US Consul General in Erbil and Mr. David Freeman of Political Office at the US Consulate with the attendance of Mr. Kaldo Ramzi Director of the Syriac Heritage Museum and a number of representatives of active civil society organizations in the Nineveh Plain and Sinjar. The meeting discussed the reality of our people and the US support for the return of displaced people and the restoration of confidence between the society’s components, the security situation and the importance of supporting stability in the region. The AAS-Iraq’s President through his interventions during the meeting stressed the need to support our people in their self-determination through the implementation of Article 125 of the Iraqi Constitution to achieve the political stability and civil peace through enactment the law that legislates the administrative and cultural rights in the areas of Nineveh plain as they are the indigenous people in the region, as well as the need to neutralize and distance the Nineveh Plain from local conflicts. The AAS-Iraq’s president also participated of the visiting delegation in a tour to the Museum’s halls, which showed the popular costumes of the villages and towns of our people as well as its rare possessions that provide a picture of the life of the Chaldean Assyrian Syriac villages in the early and middle of the last century as well as the precious manuscripts and pictures and the brief on pioneers of the cultural and national renaissance of our Assyrian Christian people.